Diane - I think Arti (Ripple Effects) tipped me off about the movie. The book is very good so far. I'm intrigued! I like stories about marriages. Angela Lawrence - I do, too! Oh my gosh - this is one of my all-time favorite books and my favorite Wolitzer! There's a gazillion more passages as good as that one the whole way through! Sarah - You're right! After that opening paragraph (which I had to reread several times before continuing) I've paused over quite a few more passages... and I'm still in the first chapter! Donna - Wolitzer is a great writer! I read this one a while ago, and LOVED it, just as I have every book by this author so far. I'm very excited about the upcoming movie...love Glenn Close. Thanks for sharing...and enjoy! Thanks for visiting my blog. Laurel-Rain Snow - I think Glenn Close is an excellent choice for Joan Castleman! This is my third Wolitzer novel this year, and there may be more. That's one of the best openings I've read in a long time. I really must get this book. Catherine - That's exactly what I thought! Sassy Brit - I always prefer to read the book before seeing the film. I deleted my comment because I thought it would delete on its own...And it didn’t but I had only written the word I...now this comment did delete after two sentences! So I am cautiously waiting! I went into Goodreads to check to see if I read your Wife and I didn’t...I read a different Wife plus tons of other books that contain the word Wife in the titles! But your Wife does sound really good and I want to read it. Whew! Patty - Blogger is giving you SUCH a hard time... I'm so sorry. This book seems kind of dark so far, bit so well-written! I agree that the opening kind of grips you - what an unpleasant view of 'first class' - LOL! 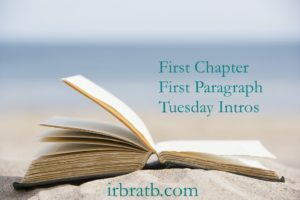 I've been meaning to read this author's books and I'm enjoying hearing about your experiences with them. One day before long - maybe. Ha! Kay - Not sure I'd want to be in that particular first class cabin, lol! 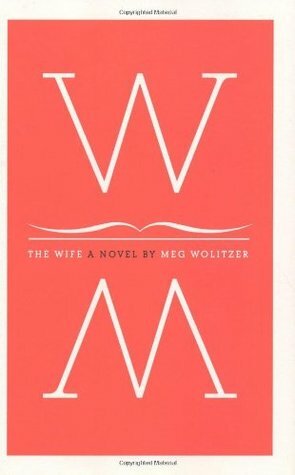 I'm enjoying working my way through Wolitzer's novels. I didn't realize they're making this into a movie. Kathy - Yes, another reason to read the book now! I have this on audio and hope to read it soon, before the movie comes out. Vicki - Hope the audio is just as good as the print version! That opening is definitely eye catching. Yvonne - It's the best opening I've read in quite some time! Oh yes. I definitely want to read the book after reading that opening. Wowzer. What an opening! I might have to try this on audio. Off to see who reads the book... Thanks for the rec! Les - Wowser is right! I checked for the audio at the library after Vicki mentioned it above. Found it available for instant download via hoopla, so now it's a read/listen combo for me. The narrator's tone is just perfect! This was already on my list ... and LOVE that opening. Beth F - So do I... especially that last phrase!! I'm definitely tempted. That was a great opening. Carol - I'm almost halfway through now and enjoying it very much. The writing is wonderful! I've been wanting to read this forever and now that the movie is coming out it has inspired me to actually get the book from the library. I'm on the wait list and hopefully it won't be too long. Karen K. - I hope you've received the book by now... it was excellent!